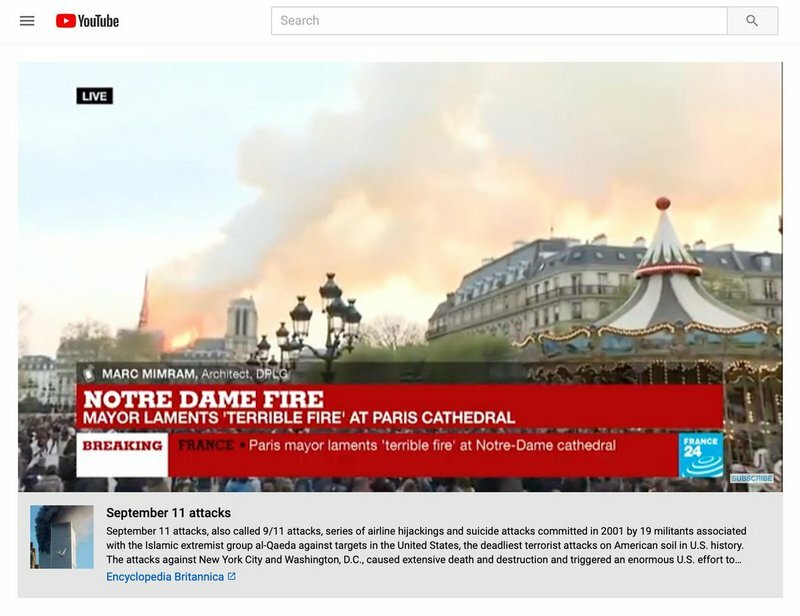 A new YouTube tool for battling misinformation failed in a highly public way on Monday, wrongly linking video of the flaming collapse of the spire at Notre Dame Cathedral in Paris to the September 11, 2001, terrorist attacks. The misfire underscored the ongoing limits of computerised tools for detecting and combating misinformation – as well as their potential for inadvertently fueling it. While major technology companies have hired tens of thousands of human moderators in recent years, Silicon Valley executives have said that computers are faster and more efficient at detecting problems. But Monday’s incident shows the weaknesses of computerised systems. It comes just a month after YouTube and Facebook struggled for hours to detect and block video of a mass shooting at a New Zealand mosque that Internet users were posting and reposting.